The GST Billing Software is a single solution for Preparing Invoices as per GST compliance, Preparing E-Way Bill & GST Returns, Managing Party Accounts, TDS, Inventory, CRM, Accounting and Exporting Data to Tally. Website Design & Development Service from ERachana Technologies can help you boost your business by showing up your Search Engine Optimised Website. Our applications have the flexibility to meet your specific GST related requirements. We offer custom made solutions to meet your business needs. Enterprise Resource Planning (ERP) software is a multi-module and multi-user application that integrates the important parts of your business, like Customer and Vendor Management, Accounting, Invoicing, Inventory, Purchases, Sales, Payroll, CRM, Email and SMS, TDS, Leave Management, Expense Management, Customer Support,Travel Expenses, MIS Reports and more. Payroll is an intuitive payroll processing application that automates salary payment calculations, includes statutory components and generates pay slips. Project Details Manager is an effective project management tool for scheduling & managing projects smartly by tracking project status, resource utilization and recording payments. It is a single solution for Preparing Invoices as per GST compliance, Preparing E-Way Bill & GST Returns, Managing Party Accounts, TDS, Inventory, CRM, Accounting and Exporting Data to Tally. At ERachana, we harness the Power of IT and deliver it at affordable costs to end users. Powered by our Rapid Application Development tool and excellent domain knowledge about Taxation and Payroll, we have created a successful track record of developing cost effective solutions based on varied business requirements of our clients. 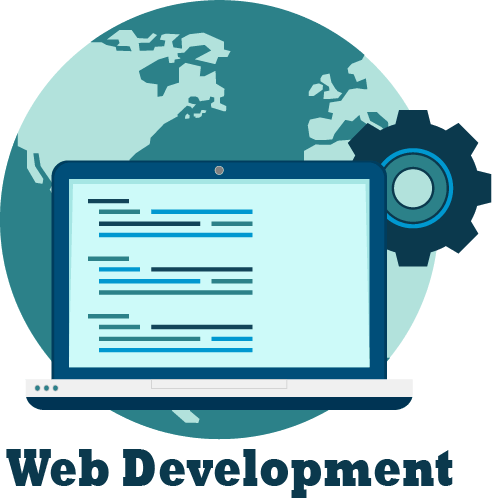 At ERachana, from developing Custom applications to managing your Website, we provide services in relation to all your business IT requirements including Desktop, Web and Mobile. Using our Rapid Application Development Tool, Kushal, we provide desktop based application development service to suit your requirement. Kushal makes Business Application Development extremely simple and enables business domain experts to easily build professional-quality desktop applications. Applications developed by Kushal have C# .NET as front end and supports various database such as My SQL, SQL, MS SQL, SQLite and MS Access. With our in-depth understanding of the Indian Taxation and Payroll, experience of developing application which runs on multiple systems and Kushal, we are able to develop customized desktop applications at affordable costs. Using our Rapid Application Development Tool, Baadal, we provide web based application development service to suit your requirement. Baadal makes Business Application Development extremely simple and enables business domain experts to easily build professional quality web based applications. Applications developed by Baadal have .Net as front end and supports various database such as MySQL and MSSQL. With our in-depth understanding of the Indian Taxation and Payroll, experience of developing application which runs on multiple systems and Baadal, we are able to develop customized web based applications at affordable costs. We live in the Information age, with smart phones and low-cost internet connections; essentially everybody has a digital identity. With everything going digital, it is imperative for businesses to have a website to stay relevant. Traditionally, setting up and maintaining a website was a cumbersome process, not to mention about the content and its management system. At ERachana we cater to all your website requirements using our indigenously developed tool EPrakashak. Using this tool we can convert your legacy websites to fast loading sites and make your websites responsive, running smoothly on laptops, tabs and mobiles alike. We can also help you with content development and maintaining the Content Management Systems. With the evolution of smart phones, more and more people prefer mobile apps over websites. We can help you enhance your customer relations by developing tailor made mobile apps. Our latest app is a GST Quick reference, helping businesses understand GST regime better. Developed in just 4 days, this app is a testimony of our command over mobile application development. Have an idea! We can convert it into a deployable product. We have been helping clients by developing white label products and rebranding them with their brand identity. We also provide backend development support to our clients, enabling them to deliver products faster. As a leading provider of quality furniture, we understand and appreciate value for money. We had engaged ERachana to develop an ERP application for us. What stood out, in our experience, was the effort they put in to understand our requirements. They have designed over 13 different processes which help us in everything from raising quotations to generating invoices and also include inventory management. We recommend ERachana as a preferred IT partner of choice as their strength lies in understanding the needs of their customers and providing custom made solutions. For us at KCMA, one of the primary objectives is to spread information related to Cashew and its plantation to all stakeholders. We wanted to develop a digital presence and reach out to as many people as possible. We entrusted this responsibility to ERachana and in a short span of time they helped us develop our website, a mobile application and a couple of informative videos. We are very impressed by their services and especially with their attention to detail. We had hired ERachana technologies to create a website (http://www.dhruvaconsultant.com/) which showcases our strength as MEP consultancy. Working with them was very comforting as they understood our requirements and exceeded our expectations by providing the right solutions. I wish them all the best in their journey of harnessing the power of IT and providing world class solutions to the Indian SME sector. As a preferred vendor of school uniforms, we were in need of billing software that catered to our specific requirements. ERachana Technologies understood our requirements and delivered the customized billing software within a week. Their beauty lies in their simplicity. We had approached ERachana to develop billing software for us that would also help us manage Outstandings. ERachana appreciated our request and developed the software. We are very happy with the services and support we have received and wish them best of innovation and development.